More link love from me. My readings through the week. Reality Check – last week I linked to JA Konrath’s $100,000 post, which has got a lot of attention. In response, the author provided another post, listing the hard slog of writing and publishing he went through for years before finding his success. Recommended reading. Via @BertCarson on Twitter. But wait, there’s more. See the last item on this bullet list. How to Price your Ebook – Karen Baney gives her thoughts on pricing ebooks, a popular post early this week. Why Your Book Needs a Sell Sheet, And How to Make One – Bryan Thomas Schmidt blogged this, for those looking into traditional publishing and marketing into bookstores. I figure something like this is helpful as a one page book sell page on a website, also. Author Book trailer face off – Caitlin Muir scores a couple of examples of home-mades at Author Media. Ebooks in the News – via Joanna Penn (@thecreativepenn)15/01/2012 13:31 Kindle the fire to self-publishing su.pr/1g4UCN via@GuardianBooks. The Guardian tells us that 1 out of every 40 British adults got a Kindle for Christmas last year. Five things you have to think about before you self publish – Andrew Jack provides some thoughts on how tough self-pubing is. Investing in Your Future – Dean Wesley Smith provides a follow up to last week’s post on writers vs authors, this time proposing that writers invest in their future by producing 25 new works for publication each year. Note – this post is for a particular type of writer, and the comments highlight this. 25 Things Writers should start doing – Another Terrible Minds post from Chuck Wendig, destined to do the social media rounds for weeks. The new author pitch – show, don’t tell. Alan Rinzler at The Book Deal talks about the new softer pitches for readers, blogs, social media and onwards. Critique Groups and Google+ – Author Media shows how to use the Google+ features of Circles, shared docs and Hangouts for a critique group. 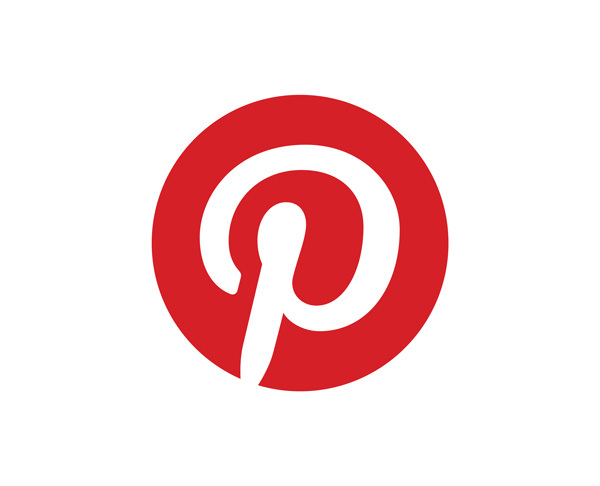 3 ways to use Pinterest for book publicity – Writer Unboxed writer Crystal Patriarche introduces social pin boards of images and some uses for writers. I’ve long used Pinterest for collecting home decor and crafting ideas, but thinking of this for books is a new idea for me. 15 Use cases comparing e-books to traditional books – Jamie Todd Ruben provides what I think is a hilarious photo-post comparing apples with pears. As an ex-software developer myself, I appreciate the use-case methodology. He forgot to do the bathtub use-case, though. The value of publicity – after all the posts above which deal with promotion, JA Konrath’s has posted this week that despite a lot of attenntion from newspapers, and other writers, all that publicity hasn’t added to his book sales at all. It’s all in the proof – the most important part of writing – New Zealand author MJ Wright talks about two types of proofing. The Modest character – the Bookshelf Muse adds a post to the character trait thesaurus being built on site. Show those feelings and reactions – Jodie Renner gives some examples and resources at The Crime Fiction Collective. Tension on Every Page – Part II And III– Jodie Renner again, guest posting at The Writer’s Forensics Blog. 7 lessons for writers from Leonardo Da Vinci – Joanna Penn provides some interesting thoughts. Walls and walls of books – my random pick for book lovers. A blog dedicated to making bookdroolers out of us. Also, a thought-provoking point as the publishing industry changes. What will make a collectible shelf-worthy book of the future? Quote – David Allen (@gtdguy)15/01/2012 08:00 Keys to getting things done: know what “done” means & what “doing” looks like. Promopalooza: tie-ins, swag and merchandising pops for the streetwise writer – Jan O’Hara at Writer Unboxed, shows some incredibly appealing stuff. I would definitely get one of those purses if I lived in the country. Who said bookmarks were a dying marketing device? 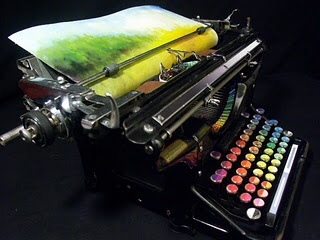 The Chromatic Typewriter – quote from Create Mixed Media : “the visual representation of what we dream of doing: synthesizing words and images so thoroughly that there’s no line between them.” This typewriter actually works, and is an art piece, see it at Tyree Callahan’s blog and website. Here’s how I track writing goals – Jamie Todd Rubin (@jamietr) 14/01/2012 01:18 using @ScrivenerApp, @Evernote, and @GoogleDocs:bit.ly/yohTJ2. This writer uses the Mac version of Scrivener. Through social media, I tracked through to find Anne Riley’s post on Why She Left Goodreads. Basically, she admits to feeling pressure in reviewing other independent authors’ books to provide rave reviews. As soon as I’d read through to JP Sloan’s comment on Anne’s post, and particularly the ‘reviewing other books is a conflict of interest’ statement I felt a lightening of the same pressure over myself. Then author Jennifer Chase basically suggested that 1 star reviews could be dismissed as irrevelant anyway. This now means as reviewers we are forced into a rating system which only provides four possible marks. Making a 2 or a 3 that much worse. After feeling the pressure to either supply 5 star reviews or nothing at all, the above posts concreted my own resolutions. I’ve now taken down the few reviews I had written up from my own site, and don’t intend doing any more publically. However I remain as a reader on many books, and always remind myself to put up amazon reviews as I move through my own reading pile. Without a writer’s hat on, that is. The content hole will be filled with something else (when I find it). This is a personal decision, because many writers have found a lot of traffic, or pleasure out of doing book reviews. Topic of the Week 2 – SOPA, of course. I don’t need to say anything here. Other than I found the big blackout of many websites yesterday both highly affective, and seriously annoying. I hope the US Senatorhood comes to its senses, this affects the entire world. Thanks for the links! There’s a lot of valuable information on this page. I’m honored to have made the list. Caitlin, it’s a really random list, just like most writer’s reading over a week. But I really appreciate everyone’s help out there with posts like that of your own, as I try to get a grip on my own understanding in this industry. Hi – thanks for the link and shout-out. Like Caitlin, I’m honoured! And you’ve collected a great resource here – good stuff, and thanks. Actually, everyone who reads this post, should definately visit Matthew’s blog. Not only is he a prolific non-fiction author in New Zealand, but he gives good writing advice also.